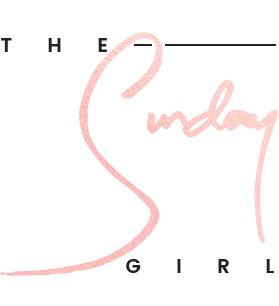 I've never been one of those girls that wears her boyfriends aftershave - sure it is nice to smell it every now and then but I like to smell like me and think male fragrances are far sexier on a man than a woman. Oh the controversy. However I will eat my hat as the newest Karl Lagerfeld fragrance for Him is by far my favourite - I'd go as far as saying the female offering is flat and bland. Yes really. I have another slight gripe - the bottles. I mean really Mr.Lagerfeld? Really? Is it me or do they look like something really cheap and tacky? Both bottles remind me of a typical celebrity fragrance launch - think Posh and Becks early 2000's non? Dated. Maybe it is because I associate Karl Lagerfeld with Chanel that I had higher expectations for the presentation but yeah it doesn't scream luxury to me nor would it stop me in my tracks. 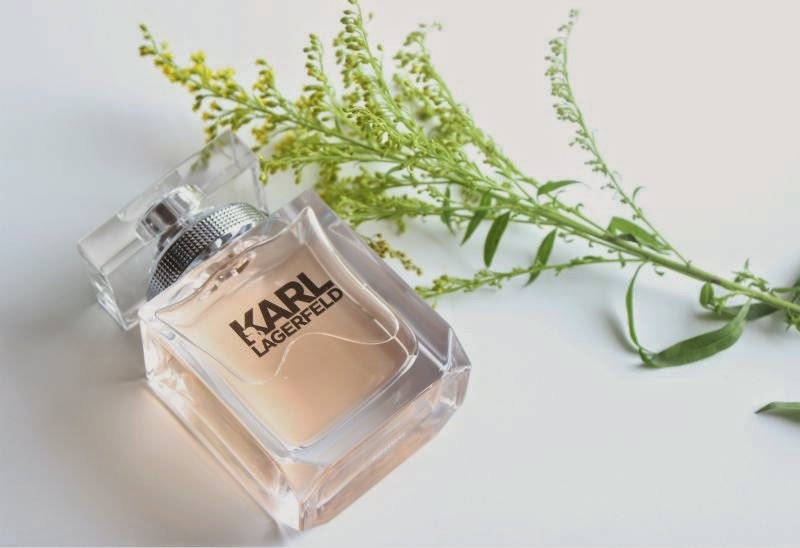 Okay on to the Karl Lagerfeld For Her EDP which is listed as a fresh scent of citrus with a blend of fruit and flowers on a woody base (amber and musk). Notes are said to include lemon, peach, magnolia, rose and frangipani. On paper I'm sure it sounds delightful but in my opinion it is not anything new - it is a flat, almost boring floral which somewhat reminds me of Sarah Jessica Parker's Lovely EDP. It is not unpleasant by any means but it does seem to be a rather typical floral offering and not anything new. Sorry. 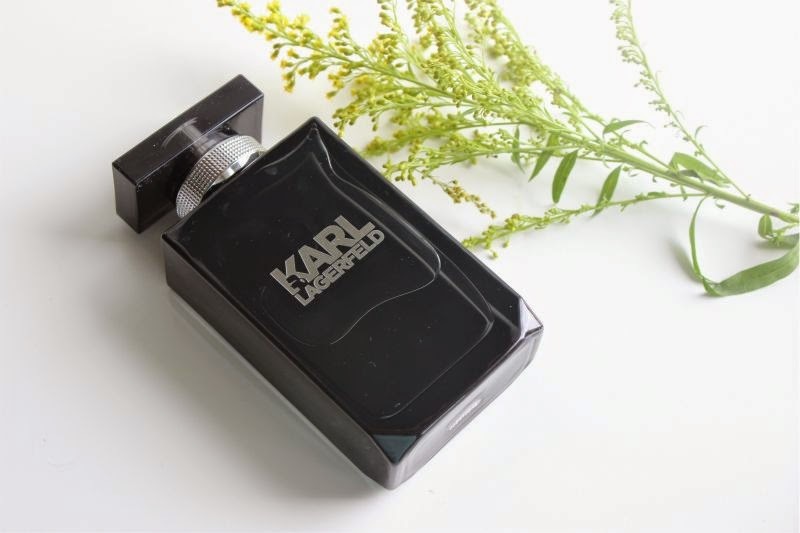 Karl Lagerfeld for Him EDT is much more commanding, I don't have a great knowledge of male colognes and what not but I can say that this much more slicker and sexier. 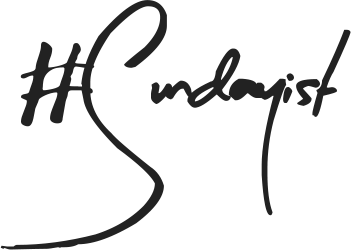 The idea is that it is an aromatic offering with notes fresh mandarin, lavender oil, green apple, violet, amber and sandalwood. It doesn't remind me of any male fragrance off the bat but it is both uplifting and fresh and I have been know to spray it on before a meeting - it teams surprisingly well with a crisp white shirt. 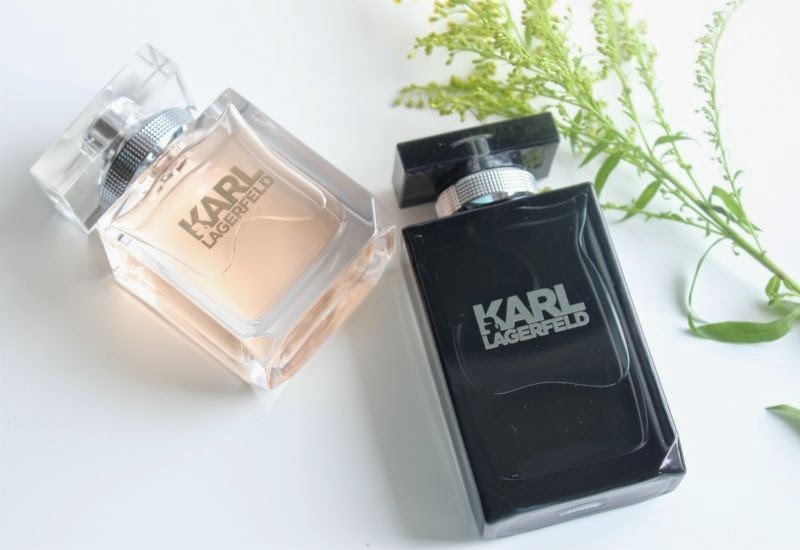 You can find both Karl Lagerfeld fragrances from Superdrug £32-£65 - link.